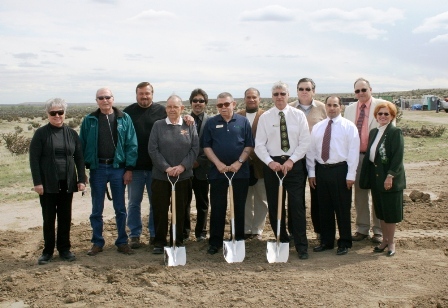 The Ground Breaking for the new Harold D. Thompson Regional Water Reclamation Facility was held on May 13, 2010. This facility will serve the Jimmy Camp Creek Basin and has an ultimate build out treatment capacity of 6.0 million gallons per day (mgd). 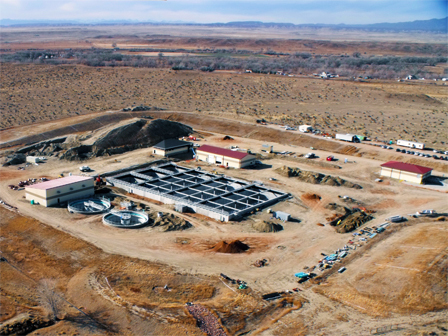 PROGRESS OF THE LFMSDD Water Treatment Facility is noted in the Colorado Public Works Journal Volume 6, Issue 5 – 2010. CCMD was part of the November 4, 2008 Coordinated Election and the Ballot question 5A concerning the funding of the LFMSDD new regional wastewater treatment plant project had a majority of yes votes. Thank you to all who participated in the election. Please read the information packet (prepared by Al Testa) regarding the: LFMSDD’s Plant & Interceptor Financing. An Analysis of Conditions Affecting the Sewer Plant Project For Colorado Centre Metropolitan District was mailed to all residents regarding funding for the Lower Fountain Wastewater Treatment Plant. Please read this important information and if you have any question, please come to the Board meetings or contact any of the Board of Directors. Copies are available at the CCMD office. In addition, an Environmental Assessment was completed for the project. Smith Environmental and Engineering was retained by the LFMSDD to conduct a Class I and Class III archaeological inventory in June of 2011. This Cultural Resource Survey was completed in August 2011. More information can be found at LFMSDD Website.